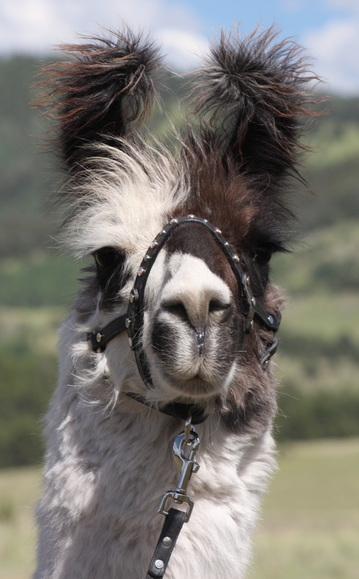 Ramazon is a total package llama that we wish was OURS! He is a who's who of champions from the showring. 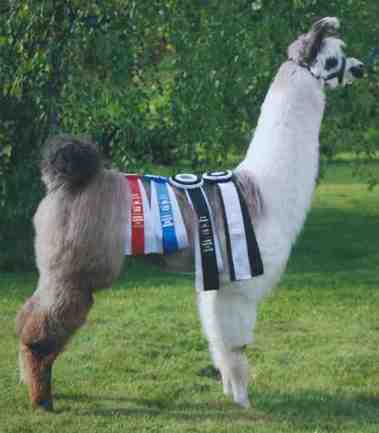 His sire is our 8 times Best of Show male, Marisco. His dam is a performance and halter winning Eagle daughter. His grandsires (*Sipan and Isle Eagle) are both many time champions (nationally too) and his grandsire is the great *El Fuerte. 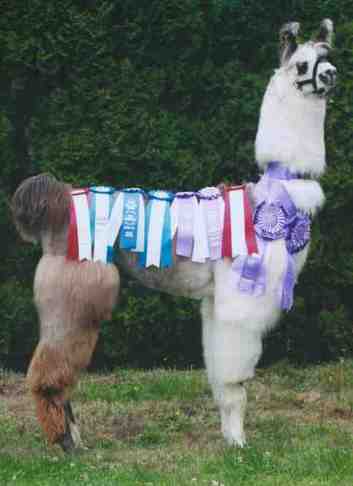 Great grandpa was an ALSA Champion and driving llama too in the early days. Ramazon is a male with a bright future ahead of him. To top it all off, he is as sweet as he is beautiful! 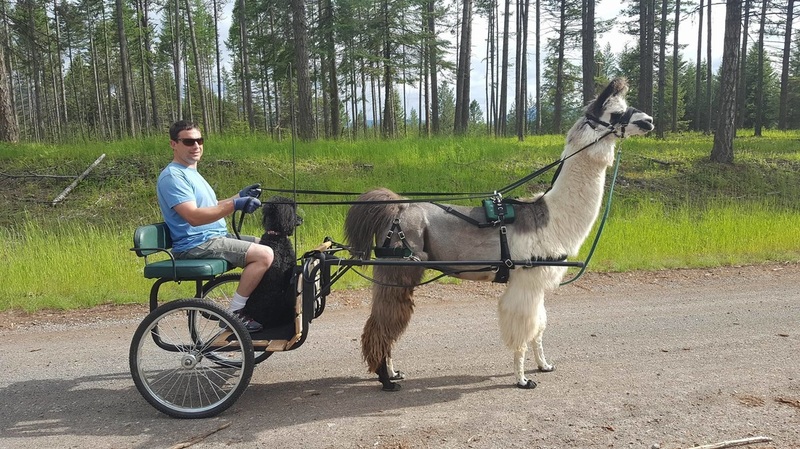 Driving is in Ramazon's blood, his mom, grandsire, great grandsire and dam side aunts/uncles are all exceptional driving llamas. Ramazon will be offered to select outside breeding services. 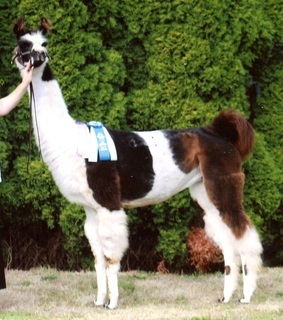 Contact Terry Spekreijse for more information on breeding to him. 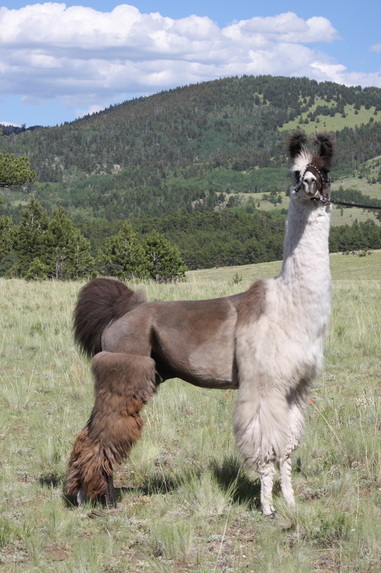 He will eventually be exported to New Zealand to join the Serenity Park breeding herd! 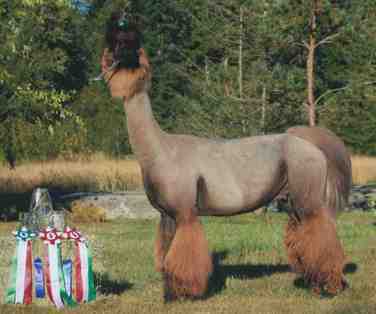 All but one judge has placed him Grand or Reserve Grand in Halter!